Halfway through the trailer for the documentary film ‘Don’t Think I’ve Forgotten’, grainy footage of Angkorian temples and golden sunsets are accompanied by the lone voice of Ros Sereysothea. It is a particularly haunting and melancholy theme, carefully placed to follow a harrowing section where an emotional interviewee asks “Why did the Khmer Rouge kill so many musicians after they won the war? They should have spared the musicians’ lives”. 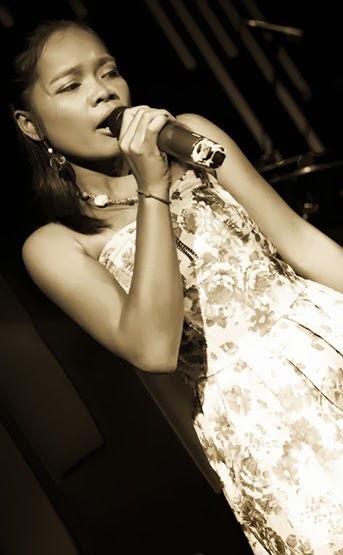 Sereysothea sings the opening vocal melody of ‘Ott Bai Auy Sluhp’ or ‘I Won’t Eat Rice Until I Die’, a song telling the story of a heartbroken girl waiting for her lover to return. A drum roll marks the end of the melancholy introduction and the music begins with a splash. Now the images on the screen are of dancing, Rock’n’Roll bands, speeding motorbikes and a giant clock spinning backwards. The track being played is an effective reworking of the original song, with studio processing and extra instrumentation added to increase the impact of the sound. “We are the protector of her songs, I hope she looks at me all the time, even during rehearsal or on the stage she will be happy to look at me and she wants me to sing her song and protect her song forever.” – Mealea Lay (‘Miss Sarawan’). For many singers, musicians and music-lovers, the clock is still spinning backwards to the pre-1975 era of ‘The Golden Voice’ Ros Sereysothea and the ‘Cambodian Elvis’ Sinn Sisamouth. This week Jack is pleased to learn that John Pirozzi’s eagerly-awaited film (ten years in the making) has been completed and is being scheduled for a 2014 release. This welcome news comes at a healthy time for ‘Khmer Rock’. A new generation of artists such as The Underdogs and Miss Sarawan are bringing the music to expat audiences in Cambodia and beyond. ‘Looking backwards’ is important in Cambodia. There is a lot more to the Khmer Rock story than just music. These crazy, psychedelic, rocking, cross-pollinated, beautiful sounds can never be separated from the cultural and historical context in which they were produced, nor the cataclysmic circumstances in which the music was brought to an end. Many better-qualified writers than I have essayed this subject - if you would like to read more I would suggest starting here, with a Cambodia Daily interview of John Pirozzi back in 2009. 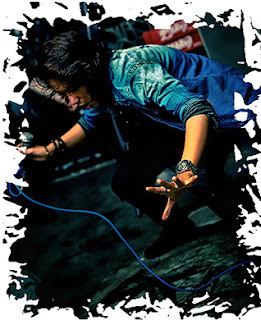 Coming back firmly to the present day, we can look forward to a number of Khmer-Rock inspired gigs over the next week. The seven-strong Underdogs team will be on duty this Friday evening at Equinox, breathing a lot of youthful vigour and enthusiasm into their ever-increasing set of 1960’s and 1970’s classics. A big night is in store on Saturday at The Village, which should be absolutely packed for a performance from Laura Mam and band. The Cambodian-American starlet is a YouTube phenomenon, receiving huge online attention for her original Khmer-language pop songs and Khmer-Rock covers. Tickets available from the venue. Miss Sarawan treats the repertoire more simply, stripping things down to the bare bones of acoustic guitar and voice – but what a voice! Two chances to hear her this week - she gives a short performance at Meta House on Friday, followed by a full gig at Slur Bar on Monday. Over on St.154, the guys at Cabaret Restaurant have been fulfilling their promise of having live acts a few times a week, and this can only be a good thing for the Phnom Penh music scene. The venue is a beautiful setting, an upscale European restaurant and bar laid out over a large leafy courtyard. This Saturday, Cabaret will provide the last chance to catch the world-class Martin Jacobsen Trio before they depart Cambodia. No cover charge. One word to the wise before Jack signs off – If you were planning to see Grass Snake Union at Equinox tonight, be advised the gig is cancelled due to unforeseen circumstances. We hope to catch those guys again as soon as possible. In the meantime, whet your appetite for a huge cinematic release next year with the video below, a trailer for John Pirozzi’s Don’t Think I’ve Forgotten. 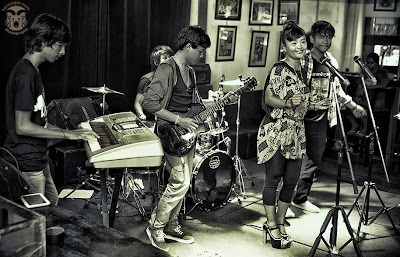 Thanks to www.kenedgarphotography.com for the great photographs of Miss Sarawan and The Underdogs. The Kingdom of Wonder is a world-leader in national holidays, and this weekend we celebrate the annual Water Festival. For most of us that means a couple more days off to enjoy ourselves and the gig guide is obligingly stuffed with fantastic shows. For those pouring out of Phnom Penh and into the provinces, there are some great options over the weekend. MC Gobshite brings his abrasive style to The Naga House in Kampot on Saturday. He is teaming up with DJ Kdam for a night of rhymes and beats and as his name might suggest, UK rapper Gobshite is not shy in projecting his lyrics nor scared to offend. This should be a fun, funky and heavy night. The underground dance music continues with wild abandon on Sunday at the Full Moon Party on Koh Rong Samloen Island - a short ‘party boat’ ride away from Serendipity Beach, Sihanoukville. Thoughts of dance music, tropical islands and wild abandon are starting to give me flashbacks from my younger days. I’ll save those stories for another time. Personally, I’ll be sticking around the city this weekend and making the increasingly busy dash around the venues on Friday and Saturday night. I only hope that my little 50cc moto will keep up with the pace. Equinox hosts an esteemed guest on Friday - the guitar-magician from Asbury Park, New Jersey - Keith Kenny. Keith’s style could be described as folk-blues, but this is not the everyday sing’n’strum show one might expect at a solo songwriter gig. With the help of a few stomp boxes, Keith artfully employs his guitar as a percussion instrument as well as a melodic instrument. The resulting ‘wall of sound’ effect is sometimes nothing more than a novelty when used by lesser players, but Keith’s authentic blues guitar prowess gives his show some real depth. As a bonus, he is supported at Equinox by the sweet and sparkling voice of Khmer singer Miss Sarawan. This week’s gig guide provides a good chance to highlight one really great thing about the expat music scene in Phnom Penh – the open mic and acoustic nights. Over the next few days there are a number of great shows coming up from expat artists who have gradually refined their craft, week in, week out, at the quieter weekday music nights. Phnom Penh audiences have a uniquely laid back and forgiving attitude towards performers. Venues like Paddy Rice, Sundance and Showbox are very encouraging towards inexperienced but enthusiastic musicians wishing to improve. Also, the network of expat musicians in Phnom Penh is fairly small and fairly welcoming. A musician can arrive in Phnom Penh as a nervous newbie and leave a few months later feeling like a confident pro. While the Paddy Rice open mic keeps going strong on Thursdays under the stewardship of Jet Odrerir (and Jack hears a rumour that Phnom Penh prodigal son Ziad Samman will be making an appearance this week), we unfortunately have to bid farewell to another progenitor of polished performers, Scott Bywater. His weekly Bywater at Baitong ends it's run tonight. There will probably be red wine involved, and performances from a few of the folks that have benefited from stage time and face time with Scoddy. Jack hears that the man is moving to France, and is promised a Leng Pleng feature interview before he leaves. Musical comedian Roddy Fraser is a familiar face during open mic sessions at Baitong, Le Jardin, Sundance Inn and The Alley Cat Cafe. In fact, Roddy has immersed himself in the Phnom Penh scene with absolute dedication. He has been roving around venues carrying an old beat-up guitar and grabbing any opportunity to hone his craft. Roddy gave a smash performance at Sharky Bar’s Battle of the Buskers and he will make a triumphant return to the venue this Friday for An Audience with Roddy Fraser. Friday sees a couple of other headline performances by open mic stalwarts. Ringtail bring their hippy aesthetic and songbook of seventies classics to Friday night at The Village. Meanwhile, Joshua Chiang completes his transformation into charismatic frontman with a solo show at Cabaret - succeeding with some vocally-challenging pop covers that few others would dare to choose. Lovers of French pop songs are directed to The Village on Saturday, where Esther Mwauka will be performing her first full gig with a backing band as MWAUKA & The Gang. Esther has been around the Phnom Penh scene for years but she seems to have kicked her act up a few gears recently. Jack is always happy to hear some excellent soul and gospel vocals, and there is always a shortage of singers doing Francis Cabrel covers. An open mic of an alternative description is taking place at Slur Bar on Saturday night with the Rom Bak Battle. This hip-hop night offers the chance to compete at break dancing and body popping for cash prizes. Although I have been an active B-boy for over twenty years, after long deliberation I have decided not to compete. This was to ensure that the youngsters have a chance of winning. I’ll leave you with something new from Dengue Fever, a behind-the-scenes video accompanying their forthcoming EP Girl From the North. It seems like everything this band produces is absolutely awesome, and their latest stuff is no exception. Also a link to a great video showing Keith Kenny’s unique style. If you’re in Phnom Penh this weekend then you’re in the right place. If you’re not in Phnom Penh... change your plans. Over the next few days the capital city of Cambodia will host enough great musical concerts and gigs to rival any Asian cultural destination. Planeloads of visiting international performers will share the stage with the cream of Cambodian players and resident expatriate musicians. In Phnom Penh we are fortunate enough to be accustomed to visits from artists of the highest calibre. Great musicians like jazz saxophonist Martin Jacobsen, blues-rock guitarist Niki Buzz, or classical violinist Nguyen My Huong. It is, however, quite rare and exciting to have all these guys playing in the same city over one weekend. In fact the really great thing about this week’s program is not the music that has been brought to Cambodia, it is the music that has been made in Cambodia. All the way from King Father Norodom Sihanouk’s Musique et Chansons to 16-year-old Bosbapanh’s Le Pavillon Enchanté. From the works of contemporary Cambodian composers Chinary Ung and Him Sophy to Songkites - a group of young Cambodians who are busy writing the next wave of popular music. From the extreme sounds of Cambodian rock bands Sliten6ix and No Forever to all the expatriate musicians and songwriters who now call Cambodia their home. It’s all music from a place, of a place, in a place. Things progress quickly around here. Not so long ago it would have been difficult to imagine festivals as great as The International Music Festival Phnom Penh 2013 and Penhstock IV taking place - not to mention superb world-class live music rooms such as The Groove and Doors Phnom Penh. Now all Jack Diamond has to do is take a careful look at the listings and choose which fantastic gig to go to next. I would recommend a perusal of the The International Music Festival Phnom Penh 2013 website for the full program. Oh yes, and both The International Music Festival and Penhstock IV are completely free! Sharky Bar’s festival weekend will this year be headlined by Niki Buzz, a bona fide legend of the New York City music scene and a fantastic guitar player. Adding to the list of must-see performances will be Psychotic Reactions on Friday night and the sassy Adobo Conspiracy on Sunday. The guys at Sharky’s also have a couple of shhhhh..... special guest appearances up their sleeves, fuelling wild rumours and speculation. I don’t know much about it, but I do know that there will be a very cool surprise act from the USA on Friday, and a special appearance on Sunday from a multi-platinum selling French songwriter! There is of course plenty going on outside the festivals. Some fine vocal performers have quietly slipped into The Village and taken up midweek residencies. Liz ‘KC’ G. fronts new trio Unity on Thursday nights and she brings a lot of attitude and some great vocals to an accessible covers set. Wednesdays have been taken over by MWAUKA, a French-Congolese Gospel singer who bounces around the stage with infectious energy. Speaking of energy, Jack might be forced to bum-rush the Pontoon dancefloor on Saturday night when the Thai DMC Champion DJ Jedie arrives. Before I let you get on with the serious business of planning which amazing shows to catch over the next week, check out a couple of videos highlighting the healthy state of Cambodian music. Firstly, a new production from Dub Addiction, ‘Pel Roloeum Srech Srech’, to feature in a forthcoming Cambodian movie. Secondly, a wonderful piece from contemporary Cambodian composer Chinary Ung, ‘Spiral - I’.